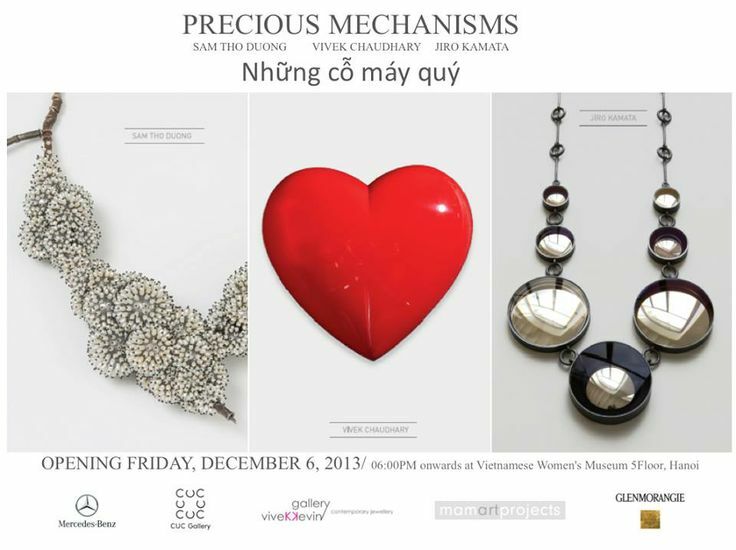 « Hanoi – Last weekend, Mercedes-Benz, ViveKKevin gallery and CUC gallery jointly opened a jewelry exhibition under the title and with the double meaning of “Precious Mechanisms”, at MAM ART Projects museum in Hanoi. The event introduced to public the modern luxury jewelry collections of artists Vivek Chaudhary, Jiro Kamata and Duong Sam Tho. Nowadays, jewelry is mass produced, globally. However, this exhibit displayed exclusive items derived from distinctive ideas of three innovative artist: Vivek Chaudhary, Jiro Kamata and Duong Sam Tho. They brought alive three themes of art: “Heart”, “Mirror” and “Frozen”, using different materials and manufacturing methods. As part of the “Heart” collection, six silver hearts were processed and polished, heated and blow-stretched. 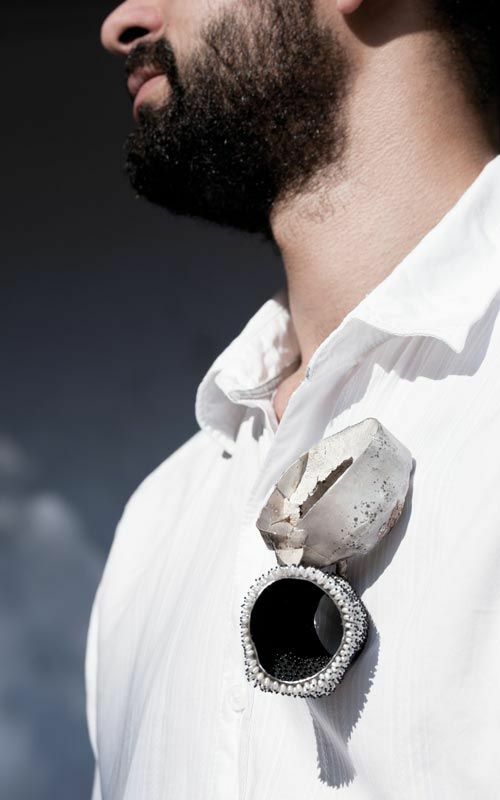 These hearts are brooches inspired by Hindu culture in India and expressed through the hand of Vivek Chaudhary. Two main colors in product of ‘Heart’ are red and blue representing two opposite emotions of people. Exceptional, the “Heart” art-work, a creative achievement of artist Vivek Chaudhary, uses the painting process and high-tech colors from Mercedes-Benz, normally only applied on the new S-Class in order to create a polished and durable appearance. 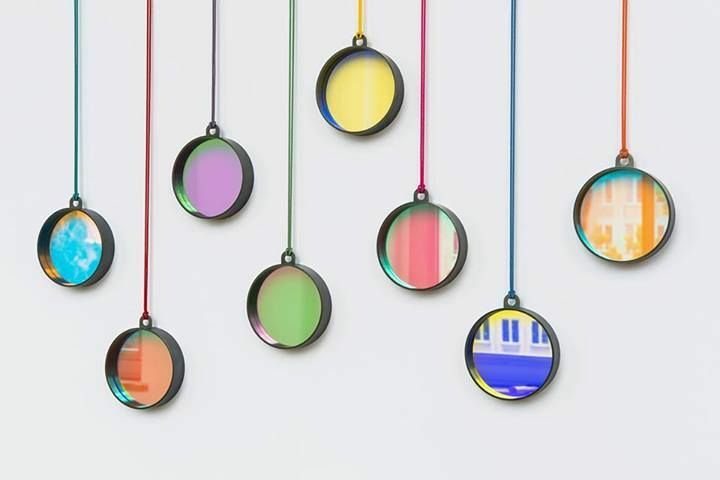 The “Mirror” artist Jiro Kamata used old camera lenses which have been crafted and sculpted into high value metals in order to create the necklace and brooches. Growing up in his father’ jewelry shop in Hirosaki, Japan, his hobby was collecting old cameras at flea markets in Munich. Jiro Kamata combines both passion and experience to make his ‘Mirror’-artwork. The old lens resemble pearls, while at the same time reflecting on one’s real life. 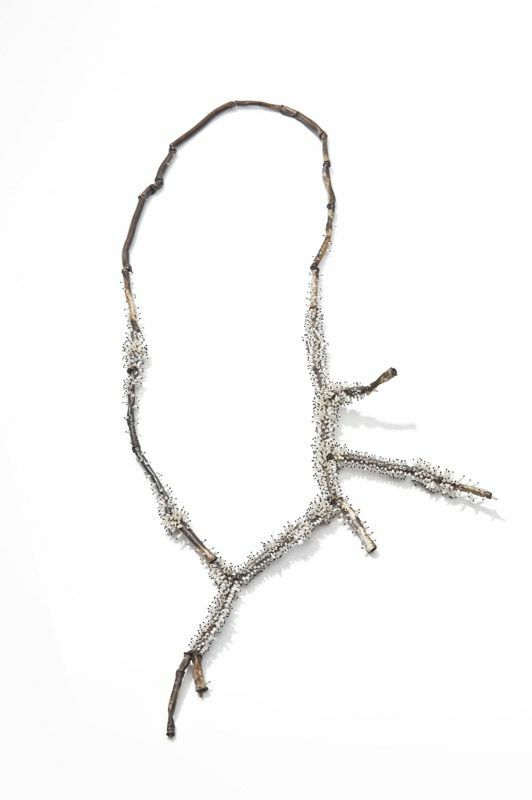 In ‘Frozen’, Sam Tho Duong was inspired by nature after a heavy snowfall. 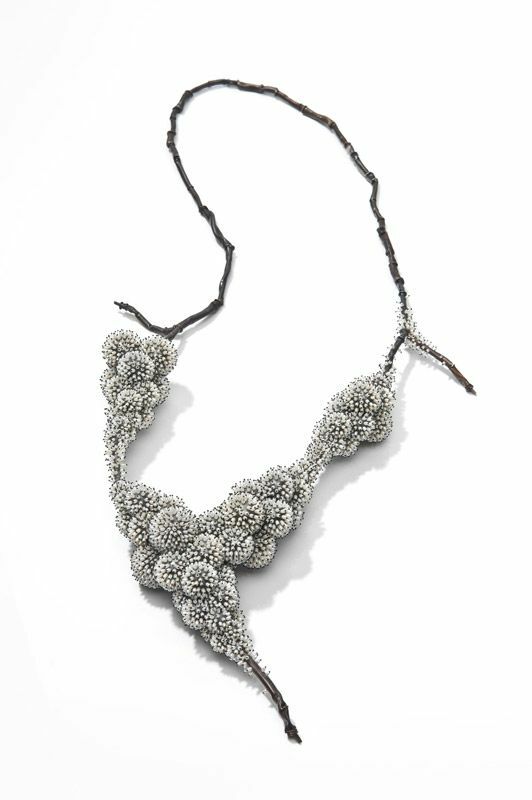 These crustaceans and flowers seem to be bordered by tiny ice-crystals, but in fact small pearls are attached tightly to the sliver-oxidized, it develops a wonderful color of dark grey and black coal. Artists has put people wearing these rings into the frozen creature’s position.